Prerequisites: Ability to ride a bicycle. Full protective attire is required. Must be of legal age to operate a motorcycle on the street. 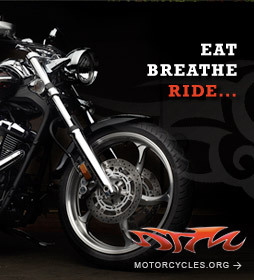 Depending on State, participants may need a driver’s license and/or motorcycle permit. The Basic RiderCourse is a complete entry-level, learn-to-ride class that consists of at least 15 hours of formal classroom activities and on-cycle riding exercises conducted over two or three days. About five hours are devoted to learning activities in the classroom, and around 10 hours of hands-on practice are included. Training motorcycles are provided. 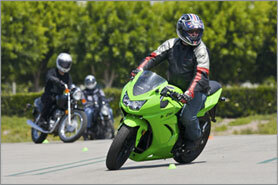 Successful completion may lead to a waiver of the motorcycle license skill test and an insurance discount. The MSF Basic RiderCourse is designed for beginning riders of all ages. Five hours of classroom instruction prepares you for ten hours of practical riding exercises in a controlled, offstreet environment—typically, a paved parking lot. Motorcycles and helmets are provided free of charge for your use during the course.